A sense of accomplishment began welling up inside of me. There I was running the last lap and the finish line was in sight. In my case, there I was sewing the last lap of my second quilt, piecing and stitching by hand the dreaded binding, which for me—a self-taught, novice quilter—was tricky beyond tricky. Just as a runner’s legs grow mushy in a race, my fingers were mushing up from the repetitious sprinting they were doing. With a thimble protecting only one finger, the others had to put up with the constant pain of being pricked by a needle. It was especially painful when the needle inadvertently stuck under the nail of my thumb. “Ouch” wasn’t the only word being uttered under my breath, making my husband look up from his reading and lovingly chide me with what I already knew. “You may want to rethink holding a quilting group at the church if that is what comes out of your mouth.” It was then I wondered about all those faded black and white pictures of women quilting I would gaze at as a child. My mind romanticized the quilting circle, picturing a serene gathering in what would be the house of my dreams—12 over 12 Colonial windows (no post-1840’s sash windows for me, thank you!) with a bucolic view of rolling hills where from a distance the echoing of bells could be heard ringing from the necks of the grazing sheep; wide plank floors with a warm patina that comes with age and that gives off a sweet, pine scent when the room is warm; a stone fireplace complete with a loaf of bread rising in the bread oven; and, if the quilting group lingered to dusk, beeswax candles, hand dipped of course, would be lit to guide each little stitch. I never wondered till now, as the needle slid under my thumbnail once again, if those women in bustled and hooped dresses with high lace collars sitting serenely in a quilting circle were indeed as serene as they looked. I wondered how many hurting thumbs and calloused fingers were in those faded pictures. With my own hurting thumb and another finger completely calloused, I continued towards the goal of getting this quilt done. I was sprinting because I had wanted to surprise my mom with this quilt at our Thanksgiving gathering. It was going to be a special gathering this year for it would be the first time in many years in which my brother-in-law, a newly retired police officer not having to work holidays anymore—would be at the table with us. We would all once again be seated at the table in the dining room of the house I grew up in. When was the last time that happened? I couldn’t remember. Life has been so crazy for far too many years it seemed, with everyone running in so many different directions. But there comes a time in your life when you realize you have the power to stop all the busy craziness that keeps families scattered. There comes a time when you realize time is not in abundance. The time we have together is scarce and so the time to stop wasting the days, the hours, the minutes to be with those you love is right now. For time together creates the memories we will need to draw upon later for strength when a grieving or broken heart feels it has no strength to go on. And like little scraps of fabric, time is sewn together into a beautiful quilt of memories that comforts you, heals you, hugs you when the arms you want to hug you are no longer there. But we throw away little scraps of everything—even time—don’t we? I guess my new-found realization of the limited time we have is a sign of growing older, right up there with the reading glasses that have all of a sudden appeared on my bedside table. Or perhaps my awareness of time slipping by comes with being a minister for when I stand with family by the grave of a loved one, I am reminded that I need to get better at treasuring the time I have with those I love. I need to stop wasting my days with problems and petty nonsense that admittedly get too much power in my life, edging out what really matters. I need to hold on to the “scraps” so that I will have my own quilt of memories to wrap myself in when I need to. You guessed it. The needle stuck under my thumb again. The last lap of this quilt had hit a snag as I tried to straighten out a very crooked binding. I stopped to take a breath and regain my focus. I had to get this Thanksgiving quilt done. As I went to pick up the fabric again, Sofie, my old bumbling Bernese Mountain dog, sauntered over and decided to plop herself down on top of the quilt spread out on the floor. Before I could scoot her off (try quilting with a 98-pound dog on top of the material), she nuzzled her head into the fabric and rolled around a couple of times and then she nuzzled some more before letting out a loud sigh of contentment. She rested her sweet head on top of her front paws and nuzzled her nose deeper into patches of calico. It almost looked as if she was praying. With head still resting on two front paws, she lifted only her eyes up towards me and gazed at me with a look of peace, of love, of joy born out of treasuring the simple things in life like scraps of material pieced together to make a surrogate hug for someone I loved. The sense of accomplishment welled up inside of me. The Thanksgiving quilt stitched out of love had now received the best finishing touch ever. This was a quilt blessed by Sofie. What better gift to give to my mom than that? It was one of those Sundays where I stood in the narthex in what I’ve come to describe as my “post-preaching daze”—a state of mind in which the adrenaline of the preaching high wears off and I stand there shaking hands while all the time thinking about the following: how the end of the sermon could have ended differently, was the point I was trying to make made, did I really put the Holy Spirit before Jesus once again in my trinitarian benediction and, more importantly, where’s the nearest cup of coffee because, boy, I can use some right now. On this particular Sunday, though, in my post-preaching daze, I wondered about something else. I wondered where the Spirit was moving among us, because sometimes, just sometimes, God seems to remain silent when you really want to know if what you are doing makes a difference. So there I stood in my post-preaching daze not expecting much in terms of getting a divine pat on the back or even a holy high five, when two boys came running in from where church school had just been let out. As they made their way over to me I could see they were very excited about something. The brothers told me how they put together several shoeboxes for our church’s Operation Christmas Child mission project, going to the store and filling the boxes with gifts for underprivileged children who might not ever feel the generous love of God. The brothers, though, took the shoebox project a step further by inviting the recipient of their box to join them in prayer. I stood there amazed, dumbfounded and deeply moved. I’ve been talking a lot about the power of prayer and our need to pray more. I’ve said it once, twice, thrice, prayer is the foundation on which anything we do for God needs to be built upon. And now, the youngest among us not only heard, they took action, inviting another child’s hand to “touch” theirs in prayer. Rendered speechless by the thoughtful act of two boys, I stared at the inside of the lid and slowly placed my hand on top of the one drawn in blue marker. My wondering as to where the Spirit of God was moving among us was right there in front of me. I had received my holy high five. Eight years ago on November 11 I took my ordination vows at South Presbyterian Church in New Jersey. It was a day I learned how heavy yet blessed the weight of serving God is. It was eight years ago today, November 11, in which I embarked on the craziest journey of my life. On a sunny afternoon in north New Jersey, in an 18th century church that now stood as an anomaly in a congested town that I am sure none of the old Dutch names gracing the weathered headstones in the church’s cemetery would even recognize as the place they once called home, I was ordained to the office of minister of word and sacrament in the Presbyterian Church USA. It was a day with many emotions. Disbelief mixed with awe that was then mixed with tremendous gratitude that was then mixed with excitement for the next step to come that was then mixed with fear and trepidation for that very next step to come. Did I mention the emotions were many? 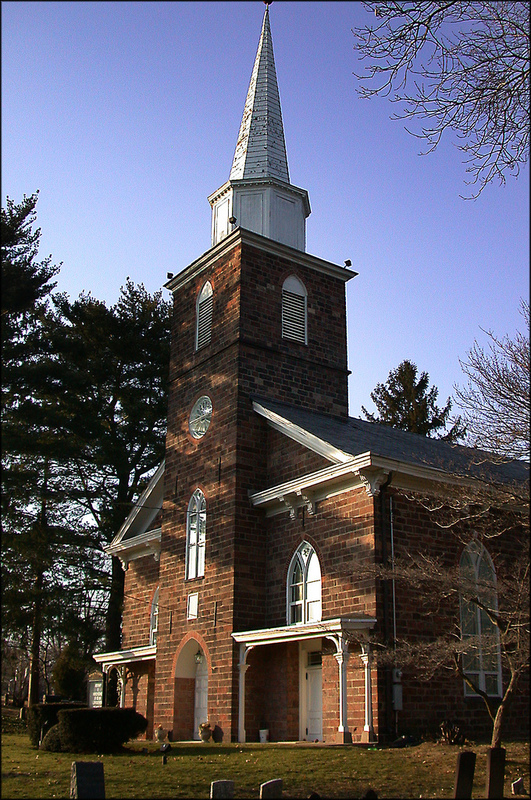 In just two short weeks I was moving to rural upstate New York to serve another 18th century church. This church, however, was not an anomaly for life in the small village had somehow escaped congestion. Some of the locals, though, would disagree with me for when I first visited their little village many shared with me their displeasure with the eyesore of the traffic light—their one and only traffic light—that winked red, green and yellow at you even when there was not a car in sight for miles. Mind you, the traffic light had already been there for a few years already. Yet the displeasure with it was as fresh as yesterday’s memories. I, though, couldn’t wait to call a place “home” where one traffic light was needed, well, not really needed…. Yes, in two short weeks. There were still many more boxes to pack and even more friends to say good-bye to. There was Thanksgiving dinner to share one more time in New Jersey at the home I grew up in. And there was my last sermon to preach for the congregation who nurtured me into ministry. Ordination day was here and the crazy journey was beginning. My parents were there that November afternoon beaming with pride as brightly as the sun streaming into the sanctuary was. My brother was there as well in which I was grateful for as his disabled body made it hard for him to get out much. Often it was easier to let him stay home then to go through the ordeal of getting him out the door. “Please God, let him be at my ordination,” was my prayer leading up to that afternoon, for my brother was the beating of my heart for ministry. He was the one who broke my heart opened to seeing the needs and feeling the pain of those labeled as “not normal” by a society in which I often question the normalcy of. Ordination day was here and I remember the opening processional hymn soaring high up to heaven as the trumpeter joined the bellowing pipe organ. I remember my friend from seminary sitting next to me and I remember looking back at a packed sanctuary seeing a sea of faces that collectively told the story of my journey into ministry. Among those faces were the chapters yet to be written as members of the congregation of the one traffic light village up north were sitting in the old pews, beaming along with my parents. The thing I remember the most, though, was the “laying on of hands,” the part of the service echoing back to the New Testament in which the laying on of hands was associated with the receiving of the Holy Spirit. And so the one being ordained kneels on the ground and is surrounded by those already ordained and then hand after hand upon shoulder after shoulder, weight bears down upon the one kneeling. I wasn’t prepared for that moment. I soon lost interest in shoes as I noticed the hands upon me weren’t light or gentle. The hands upon me were pressing down hard. I felt as if my knees were going to fail me and I was losing my balance and feared I was going to fall over. For a second I wondered how in heaven’s name was I going to get up gracefully after all of this. Soon, though, the shock of the burden upon me eased, and my worries about getting up off the floor faded. I bowed my head and let the tears of thankfulness fall down my cheeks as I listened to the prayer being said about serving faithfully, following wherever, trusting always, loving all…and then I heard what I needed to hear then just as I need to hear now. Serving God is indeed a heavy weight to bear. It is burdensome. It can crush you. It can bear down upon you. But you do not serve God alone. The pressure of the hands upon me was my tangible reminder of that. Those very hands that put so much weight on me were the very hands that held me when I thought I would fall and it was those very hands that helped me up when I needed to get up. All of a sudden I understood the magnitude of what I was entering into. I understood what a heavy weight I was to carry and that I was not to carry it alone. There are always hands eager to help and support you. And because of those hands, the weight, no matter how heavy, becomes blessed. Eight years ago today, on a sunny November afternoon in an 18th century church that now stood as an anomaly in a congested New Jersey neighborhood, I said “yes” to God’s invitation to never go it alone in this life no matter where in life one is going. We just aren’t meant to do that. Do you feel a weight crushing down upon you? Does it feel as if a burden is just too much? Are you wondering how in heaven’s name can you get up from where you have fallen and get up gracefully? If so, may you see the hand that is reaching out to help ease the burden. More importantly, though, may you feel the strong yet loving pressure of the hand that is always upon you. May you feel God’s hand—THE hand that makes all heavy weights blessed indeed. Me: Do you want anything special for your birthday? Me: Do you want to go out to eat? Him: Sure, if you do. Me: What kind of cake do you want? And so the day of his birthday came. It was a particularly busy day for me with an already full week of meetings and pastoral visits made more pressing by a funeral to officiate in just two days. As I went about my day, though, my husband’s birthday was still front and center in my mind. I just couldn’t get over this feeling that I wanted to do something special even if we weren’t birthday party kind of people. Seeing the hours of the day slip by quickly I began realizing that even if I had an idea for his birthday there was no time in which to execute it. A drive to the shopping mall to pick up a special gift was out of the question because the stores weren’t close by and the traffic to get to the stores would make the trip even longer and more frustrating. So what was I to do? I was at a loss for ideas and had no more time to think as I was heading to the assisted living facility to visit a woman recovering from knee surgery. As I made my way through the large gathering room to get to her room, I took notice of the residents sitting there in their wheelchairs, perhaps waiting for a scheduled visit from a loved one or perhaps just waiting for any visit from anyone. I made it a point to look each one in their eyes and to smile and say “hello.” It is amazing the healing power a simple hello has when spoken to someone in need of a hello. Some smiled back at me; while others looked surprised that I was even noticing them. But notice I did. I noticed eyes clouded with memories of yesteryear. I noticed frail bodies and white hair. I noticed the passing of time right in front of me and I slowed my rushed steps and realized something. I realized I needed to become a birthday party kind of person because the passing of yet another year is something not to ignore. It is something to honor. It is something to recognize. It is something to be thankful for. Just then I remembered the poignant words of my high school friend who wrote on her blog many years ago, “Today I got to celebrate my 41st birthday and for that I am very thankful to God.” She never got to blow out 42 candles. I looked around at the sea of wheelchairs all around me and wondered how many birthdays have come and gone without being celebrated? How many birthdays have I let come and go without any recognition? It was then I knew what to do for my husband’s birthday. With little time to spare, I rushed over to the grocery store and picked up a cake and some candles. I then found a birthday card. After that, I ran to the dollar store next to the grocery store and grabbed a bag of blue balloons and the tackiest “Happy Birthday” banner I could find. I sped home so that I could put up the decorations and get the cake on the table. Now for the card…what to say? Hmmm…. All of sudden Sofie, our bumbling Bernese Mountain dog, hopped off the couch and with tail wagging happily stood at the door. I looked up and asked, “Where’s Daddy?” She began jumping back and forth with joy as my husband came through the door. “Surprise!” I shouted as he looked at the balloons all around. He was indeed surprised. After a light meal of whatever we could find in the fridge, it was onto the cake. But before the cake he opened my card. Since I have always struggled with gift-giving ideas, I wrote in his card three birthday gifts for him: 1.) Dinner at a restaurant of his choice, 2.) A movie date with his choice of movie and, 3.) All of my love forever and ever. And with the candles blown out and the cake cut, it was then my husband and I became birthday party kind of people. For another year is a gift from God and moments to pause and celebrate what we have should never be taken for granted. This is indeed the day the Lord has made. Let us alway rejoice and be glad in it. There’s something special about country churches. I’m not talking about the idyllic charm of a little white clapboard structure with arched windows and a steeple peeking out from a wooded country lane or a stone chapel tucked away in a valley, complete with grazing cows or sheep as its neighbors. The something special I have come to know about country churches goes beyond what one sees on the outside. The something special I am talking about is what one can find when finally stepping through an old battered door whose creakiness is actually its way of beginning to tell a story or two of years gone by. For once inside an old country church one will find love—and lots of it. I never thought I would serve such a church, but one summer a friend from seminary was serving as a pastor in a very remote area in Maine. She was serving there to fulfill the hands-on training required for graduation and ordination. Admittedly, I was a bit surprised when I heard of her decision to spend two months in such a rustic setting. My friend hailed from a more genteel lifestyle. Her middle name was not your typical “Ann,” “Lynn” or “Marie.” Her middle name was an old family name, making her complete name, when spoken out loud, quite impressive indeed. “You’re going where?” I remember asking at lunch one day towards the end of our spring semester. “I know. It’s crazy,” she replied. “It just doesn’t seem to be something you would want to do,” I said. “I know,” she agreed, adding with smile, “That’s why I am doing it.” And so she packed up and drove the 10-plus hours it took to get to her new home away from home. I didn’t hear from her too often that summer, as there was no cell phone reception out in the woods. Her calls would come only when she had to make a trip back into civilization, in her case; civilization was the Wal-Mart parking lot, the only place where her phone would work. As she sat in her car chatting she would fill me on all the adventures of life in a country church. She would tell me about the snakes that slithered about on the stone pathway to the house in which she was living in the basement apartment and how she hated making that walk to and fro. She worried if the snakes would get into her apartment. She talked about the black flies that were everywhere. She shared with me the stress of serving two churches that weren’t very close in distance and how she struggled with maintaining a healthy calorie intake when having to be at two coffee hours in one morning. Coffee hours whose tables were overflowing with the most scrumptious, homemade blueberry cobbler, blueberry pie, blueberry muffins, blueberry ice cream—this was Maine, after all. She would share the few highs and the many lows and go into detail on the rare ups and the all too common downs. And so when I asked whether or not she liked it there, she surprised me with her answer. All of a sudden she got very quiet, so quiet that for a second I thought maybe her Wal-Mart cell phone connection failed. “I’m still here,” she said. “Well, while I plan on going to graduate school after seminary and see myself more in a professor role rather than pastor, I just can’t help but to feel sad to leave here. These churches need pastors too,” she said. I nodded my head, but she couldn’t hear my nod of agreement, so she continued. Her words, though, stayed with me, so much so that when a call came a year later from a country church looking for a pastor, I took it. And when the chairwoman of the pastor nominating committee explained how hard of a time they were having finding someone to come to serve their church, I understood what she was telling me. But before the conversation could go any further, the chairwoman had to ask me a question. She wanted to know if I was interested in serving a country church because I didn’t circle that option on the ministry profile I had to fill out. Suburb, college town, small city…they were all circled. Rural wasn’t. “Oh, hmmm…that…well, I am not sure why I didn’t circle that option. I guess it really doesn’t matter, though, does it? Because God knows where we should all be, right? So I would love to continue this conversation,” I said. In a few months I was packing my boxes up and getting ready to hit the road out of crazy, congested New Jersey for the country roads of upstate New York where a white steeple church dotting the pastoral hills and valleys of a farming community was waiting for me. The church was a beautiful sight indeed. From one part of the village, on top of a hill, one could see the 18th century structure. 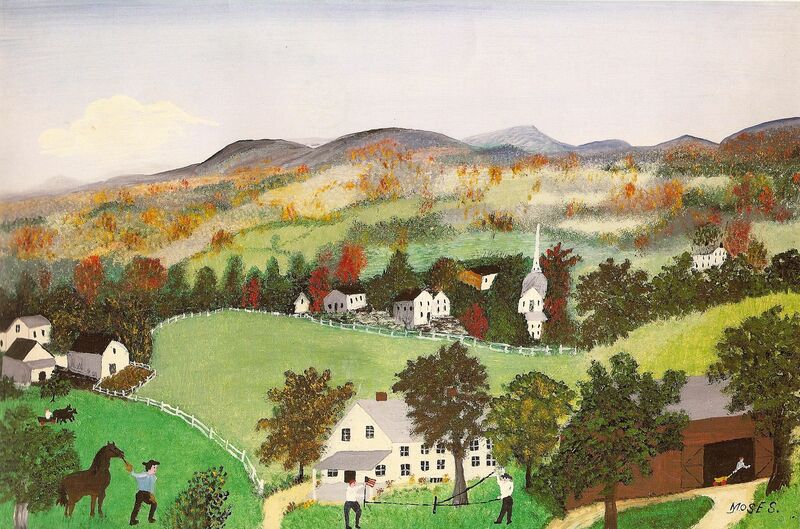 It looked as if Grandma Moses painted it there herself. What was even more beautiful, though, were the stories the old battered doors would tell me every time I entered into the sanctuary. There were the stories of love gone by and the promises of love to come. Yet the greatest story was the one being played out in the present. The story of love that wasn’t this unrealistic we all get along kind of love, but rather the story of real love that meant even when the ties that bind us are put to the test or are strained or even fractured, love still reigns and keeps everything together. It is in a country church where love is offered up to friend, stranger and even foe. It is in a country church where the struggles are great but the joy in those struggles is even greater. It is in a country church one will come to find something the rest of the world is forgetting—community is everything. Yes, country churches are in need of pastors but what I have discovered is today’s pastors are the ones who are in need of country churches.